Established in 2009, the Information Dominance Corps was placed under the Information Dominance Forces Command in 2014, and in 2016 the Corp was renamed the Information Warfare Community. The Information Dominance Warfare breast insignia was approved in 2010 for wear by five types of Restricted Line Officers (18XX), four Limited Duty Officers (68XX), and four CWOs (78XX). 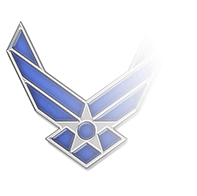 Additionally, a silver version was made available for enlisted personnel in four ratings—Aerographer’s Mate (AG), Cryptologic Technician (CT), Intelligence Specialist (IS), and Information Systems Technician (IT) who earned the Enlisted Information Dominance Warfare Specialist (EIDWS) qualification. 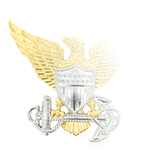 Although OPNAVINST 1412.13 purports to list the “requirements and procedures for designation as qualified information dominance warfare officer,” it contained no list of what the actual IWO Personnel Qualification Standards consisted of; instead, there is a list of instructions to various commands to establish PQS to be used in the future. 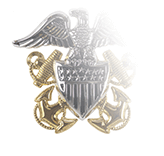 In June, 2015, the Navy finally released the revised EIDWS Qualification Program Instruction (COMNAVIDFORINST 1414.1), more clearly defining the standards of qualification and streamlining the number of commands that administer the program. 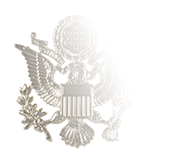 Additionally, the updated instruction made EIDWS qualification mandatory for all Sailors in the AG, CT, IS, and IT ratings. 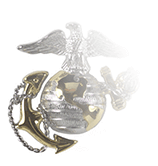 And it appears a new breast insignia may be on the horizon for some officers currently wearing the Information Dominance Warfare badge. In May, 2016, the head of U.S. Fleet Cyber Command announced that the title of Navy officers in the 181X, 681X, and 781X designators would now be “Cryptologic Warfare officers” rather than “Information Warfare officers.” The change was somewhat startling since it was only in 2005 that officers in these designators were called “Cryptologic Officers.” And while the name might be a throwback, it’s almost a certainty that a new insignia will be designed to accompany the new designation.